Firefighters, emergency medical technicians and paramedics gathered in a classroom to find out how to use the new protective gear they been given. They hadn’t been given new bunker gear for dashing into fires or new uniforms for responding to medical emergencies; it was instead the type of gear commonly used by law enforcement and military personnel, bullet-resistant protective vests and helmets. Pinellas County paid around $720,000 for the new equipment so that first responders can act faster and get closer to the action when a shooting occurs, which could save more lives. Pinellas County is the very first agency in the area of Tampa Bay to obtain this type of equipment. The decision is in response to a rash of highly publicized mass shootings that have occurred in recent years. Another factor influencing this move is the federal guidelines now urging first responders to implement a unified plan of action to confront active-shooter situations. Most of the expenditure, $685,000, was spent on 484 sets of protective vests (weighing 42 pounds) and helmets. The balance went for what the county calls “major trauma bags” that hold first-aid supplies like tourniquets and gauze along with a clotting agent, which are all needed to stop blood from hemorrhaging. The new equipment is meant for every single on-duty first responder position in the county, and that includes equipping Sunstar, the ambulance company contracted by Pinellas County. Hare said that it was up to the county to pay for any medical equipment used by Sunstar. When there is an active shooting, law enforcement divides the scene up into several different areas so the response can be organized, according to Erich Thiemann, Chief of Training for Dunedin Fire Department, who recently led the training conducted in Oldsmar on the new protective vests. The spot where the shooter remains active is the “hot zone.” A “cold zone” would be some distance away from danger, perhaps in a church on the next block. The area between the hot and cold zones is the “warm zone,” which is not yet secured by police, so this area is still a risky place to be. 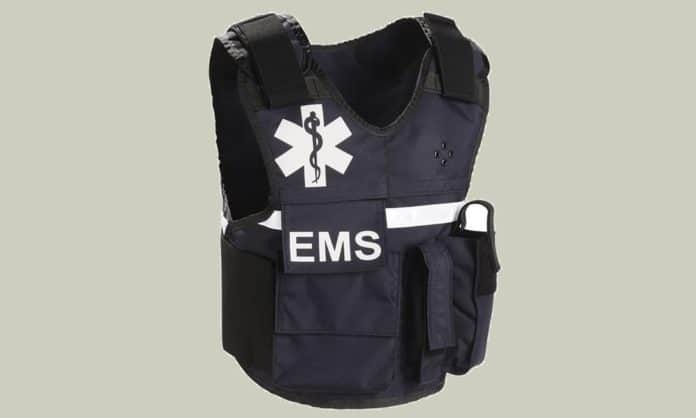 Fire as well as medical responders do not enter a hot zone, however by having the bullet-resistant gear they do have an extra layer of protection so can enter a warm zone along with police to start helping the victims and to get them to safety. “That’s basically all we’re doing: taking care of immediate threats to life,” said Ross Pinney, one of Oldsmar Fire Rescue’s tactical medics who taught part of the training class where they practiced carrying and dragging victims from the scene of a shooting. The county employs approximately 60 tactical medics like him who are specially trained along with police officers to enter dangerous situations. Although the purchase of this protective equipment has been under consideration for a number of years, the Pulse nightclub shooting in Orlando last summer highlighted the urgency. The paramedics and ambulance personnel in Orlando were not equipped with protective vests so they had to treat victims in a parking lot across the street where law enforcement took the injured. Around a dozen victims tragically died on their way to or at the hospital. It’s impossible to know whether some might have lived had paramedics been able to treat them sooner. The training class became more serious as instructors discussed the fact that another mass shooting could occur later today or tomorrow, perhaps over the weekend at Westfield Countryside mall, or maybe next week at the local high school. 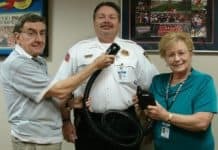 “That line of thought, that this is not a matter of if, but of when, is what gave Pinellas County officials the idea of buying bullet-resistant protective equipment,” said Richard Graham, Lealman Special Control Fire District Chief, who also serves the Pinellas County Fire Chief’s Association as president. Pinellas County is a very popular tourist destination as well as the most populated county in the state. To Graham, it became very clear that protective vests must be a priority, and the other chiefs later agreed. The county is now drafting a formal policy for how to respond to active- shooter situations. Graham said that the protective equipment can also be used on other types of calls, like stabbings or domestic violence. Each department will decide for themselves when to wear the protective vests and helmets as well as the rest of their equipment and gear. A written policy is already in place for Clearwater Fire & Rescue, which states that first responders must put on their body armor “before entering any type of hostile environment,” and this would include active-shooter situations, civil disturbances and fights. However, in response to concerns voiced by firefighters, Marvin Pettingill, the fire department’s operations chief, said that entering a warm zone would be voluntary. Some firefighters have already opted out, but most have said they are prepared to participate. Becker admitted that the union does have some other reservations about using protective equipment, one being that it was purchased per position and not specially fitted for each individual, which perhaps makes it not as safe as it could be. Clearwater’s policy position is that everyone has to try on and adjust his or her protective gear at the beginning of each shift. The vests fit a 28” waist up to a 61” waist, according to Pettingill. 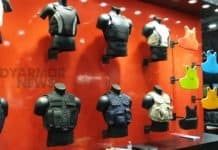 Hare said that outfitting each individual separately for a vest would have brought the cost up to $2.4 million or thereabouts. Officials of Hernando and Pasco Counties said the high price is what held them back from buying the gear. Both departments realize they will soon be forced to purchase protective vests and helmets to comply with national standards, but in the meantime they are seeking grant funding. Hillsborough County Fire Rescue officials said they have no plans to buy the equipment. In Pinellas County, officials certainly hope they don’t have to, but right before the group being trained at north county put the gear on, Thiemann emphasized that their lives could be at stake.